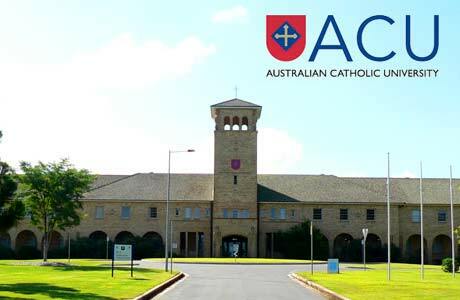 Australian Catholic University International Student Scholarships reward commencing undergraduate and postgraduate International students who have demonstrated outstanding academic merit with results of at least 80% in prior studies. > The scholarship will cover half of the full-time fees for the minimum duration of your course (inclusive of RPL/Credit). > There are 20 scholarships available. > Evidence of academic merit, showing achievement of an average of at least 80% (GPA 5.8 on the ACU 7 point scale) across your most recent program of study. Academic records must include original language documents, translations (where applicable) and official explanation of grading system. The Selection Committee may give consideration to the diversity of the source countries of applicants and the courses in which they are enrolled (including across a spread of undergraduate and postgraduate coursework programs and campuses). > The recipients will be selected by a Selection Committee consisting of the Executive Director, International, the Executive Dean of each Faculty (or nominee), the Dean of Graduate Studies, the Associate Director, International Admissions and Student Relations and the Associate Director, International Marketing and Recruitment. > In considering applications, in addition to the eligibility and selection criteria, the Selection Committee may give consideration to the diversity of the source countries of applicants and the courses in which they are enrolled (including across a spread of undergraduate and postgraduate coursework programs and campuses). Students must maintain an overall minimum GPA of 4.75 on the ACU 7 point scale for the duration of their course. The Scholarship is not transferable to alternative courses or campuses post initial enrolment. Students must pay required tuition fees by relevant due dates. The Scholarship remains valid for students on an approved Leave of Absence for up to 12 months. Successful applicants must also agree to act as student ambassadors for ACU and support promotional activities.